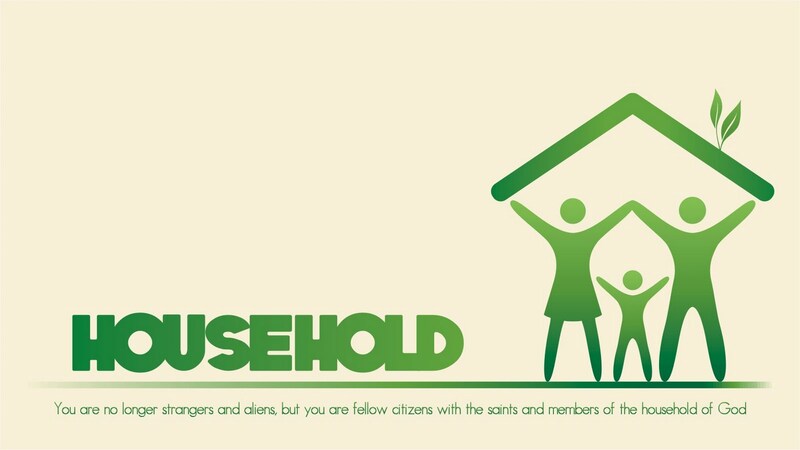 "You are no longer strangers and aliens, but you are fellow citizens with the saints and members of the household of God..." (Ephesians 2:19 ESV). In the Old Testament, the "House of God" refers to the place where God dwells. As the Israelites begin their journey as liberated slaves from Egypt, God dwelt among them in a movable tent, called the tabernacle. After David established Jerusalem as the capital city, his son Solomon oversaw the construction of a more permanent dwelling for God, called the temple. God's people, those who worshipped the God who dwelled in the tabernacle and then the temple, were said to be the "house of Israel." For example, Exodus 40:38 says, "The cloud of the LORD was over the tabernacle by day, and fire was in the cloud by night, in the sight of all the house of Israel during all their travels." This use of the word "house" is more in line with the concept of a "household" (but it's the same word in the Hebrew language: bayith). A house is a tangible structure, while a household is an intangible identification of people who share beliefs, customs, traditions, memories, and plans. But in Numbers 12:7, the "house of God" refers not to a tangible structure (tabernacle or temple), but to an intangible "household of God." In that passage, God says of Moses, "He is faithful in all my house." So we're told here that God has a household, a people with a sense of unity and oneness in belief, customs, traditions, memories, and plans. Fast forward to the New Testament. 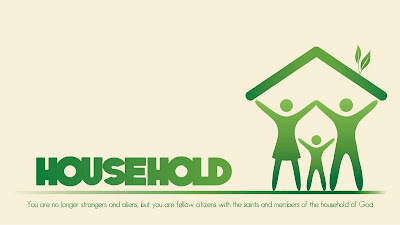 Christians - followers of Jesus - saw themselves as the inheritors of the "house of Israel" and "household of God" titles. In other words, they saw themselves as the family of God. So we read in 1 Timothy 3:15 the statement that the church is the household of God. Or again in Hebrews 3:5-6, "Moses was faithful as a servant in all God's house, testifying to what would be said in future. But Christ is faithful as son over God's house. And we are his house, if we hold onto our courage and the hope of which we boast." This familial language of household is important for the church today because it gives the church a clue as to why it exists. In 2003, Derek Webb (singer/songwriter for Caedmon's Call and various solo projects) wrote an article called "The Identity Crisis of the American Church." He pointed out that our identity crisis "is the root of many problems we seem to have in American churches. We don't know exactly who we are, so we don't know exactly what to do. And when we don't have the vision to do the thing that's right, our default is just to do the thing that works, which can quickly become a dangerous proactice." An example? He says, "The Church has traded in its identity as the true counterculture for the lesser role of subculture, playing by all the rules of and taking all its cues from consumerism and pop culture. We criticize and boycott companies and corporations for their practices, and yet we use their marketing techniques and strategies to evangelize the lost." Should we pursue excellence like Tom Peters said we should? Should we become culture warriors like Bill O'Reilly said we should? Should we create amazing experiences like Jim Gilmore said we should? These questions, and dozens more just like them, put the cart before the horse. The church must know who she's called to be BEFORE talking about what she's called to do. What I'm saying here is that the church is called to be the household of God - a people of shared beliefs, customs, traditions, memories, and plans. This does not mean uniformity, but it does insist upon unity. Why aren't we loving our neighbor as ourselves...like Jesus said we should? Can You Belong Before You Believe?